Review Display Systems (RDS) now offers theNL12880BC20-07F WXGA, TFT Colour LCD module from NLT. It is manufactured specifically to be readable in bright or sunlight conditions in industrial settings. The 1280 x 800 resolution TFT display has a contrast ratio of 800:1 (typical) and an impressive screen luminance of 1,800cd/m², making it truly readable in sunlight. The robust industrial LCD module offers high contrast and clear images due to the proprietary ColorXcell technology which reproduces colour that is comparable in intensity to the original video source (i.e. without tint or colour variance), yet with a minimum increase in power consumption. The 12.1inch display uses an-Si TFT active matrix drive to display over 16milion colours, with 64 grayscale, at 8bit input, and 262, 144 colours at 6bit input via a single channel LVDS connection. The wide operating temperature of -20 to +70C combined with the high screen brightness makes this panel ideal for outdoor mobile applications. The module is compact, measuring only 277.7 x 180.6 x 8.7mm for use in space-restricted industrial environments. The screen can be viewed from all directions and has an anti-glare surface and consumes just 17W (typical). Review Display Systems Ltd (RDS) specialist provider of Industrial and commercial display systems and embedded computing solutions, introduces three new embedded boards from AAEON based on Intel’s latest Baytrail range of CPU platforms. The boards have been developed in three different industrial formats to cover a range of applications. For handheld and space conscious applications, where users have configured their own base board, using the compact COM Express Type 6 format CPU module, the COM-BT, is available in single, dual and quad core versions, based on the Intel® Atom™E3815 (single), E3827 (dual) and E3845 (quad) processors. It will support up to 4GB DDR3L 1066/1333MHz SODIMM, two SATA 3.0Bb/s I/O ports and an option 4GB eMMC port. The board supports two simultaneous display outputs: VGA, DVI, HDMI, DP and eDP. There is also a high-definition audio interface and support for Intel Gigabit Ethernet. The GENE-BT05 is a 3.5inch, feature rich industrial sub-compact motherboard and features Intel® Celeron N2930/ N2807 processors, with 204 pin SODIMM DDR3L, maximum 8GB of system memory, and twin Gigabit Ethernet. It supports CRT/LCD, HDMI/LCD simultaneous or dual view displays. 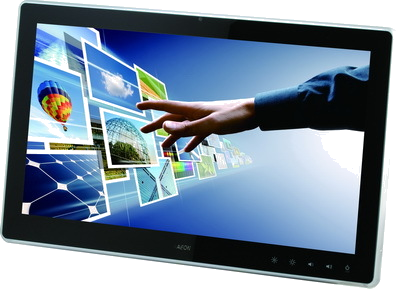 A four-, five- or eight-wire resistive touch screen is available as an option. Storage options are SATA 3.0Gb/s x1 and CFast™ x1. The two channel HD audio offers line-in, line-out and mic-in. 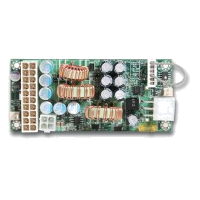 The board operates at +12V and has a range of expansion options. Finally the largest of the three formats initially released is the EMB-BT1 thin Mini-ITX embedded motherboard is based on Intel® Atom™ E3845/E3825 processors, delivering 1.91GHz and 1.33GHz respectively. The dual display board supports VGA, HDMI and LVDS and has SATA 6.0Gb/s x 2 and SATA 3.0Gb/s x 2 I/O ports. This board is ideal where space is not at such a premium, such as behind a display panel greater than 10.4 inches in size. This format is also the most economical to produce making it a great solution for more cost sensitive applications. Sample quantities are available now for design engineering teams to evaluate the performance of these powerful new platforms. Review Display Systems (RDS) has announced a 15.6inch, WXGA, a-Si (amorphous- silicon) TFT LCD module from NLT Technologies. The NL13676BC25-03F has been designed for outdoor applications, but with a longer backlight lifetime of 70,000 hours to reduce power consumption without affecting brightness. The wide format module can be used in boating equipment, construction devices and industrial applications. It has a luminance of 1100cd/m² and a high contrast ratio of 900:1 resulting in excellent viewability, even in high ambient light environments. Resolution is 1366 x 768. The long-life white LED backlight lowers maintenance costs, compared to typical high power backlights used in conventional outdoor displays, achieving high brightness by optimising heat dissipation. Furthermore, it is mercury-free. Operating temperature ranges from -20 to +70, to guarantee stable operation in extreme conditions. At 15.6 inches, the TFT LCD is the largest in NLT's high bright product family. 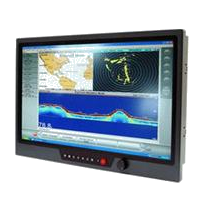 The wide format allows more data to be shown on the display, and for multi-function displays in marine equipment, where a variety of information and data need to be viewed on a single display at the same time. The module measures 363.8 x 215.9 x 12.65mm. The LCD module was showcased at the recent Embedded System Expo, Tokyo, Japan and Display Week 2014, San Diego, California, USA. Samples are scheduled for September 2014. RDS Announces NLT technologies Ltd Industrial Hi-Bright Seven and Eight inch TFT panels. Designed to provide impressive display performance in high ambient light theNL8048AC21-01F and the NL8048AC19-14Fare compact display panels with a diagonal screen size of eight inches and seven inches respectively. Both these panels feature a high bright LED technology backlight giving the screens a brightness of 1000cd/m² and a half-life of 100,000 hours, making it ideal for programs where a long product is a requirement. The screens high brightness levels also make these panels ideal for applications which use a touch screen as this will offset some of the reductions introduced by the construction of the touch sensor. The display viewing angles are 80 degrees all round and the extended temperature range of -30C to +85C makes the panels suitable for outdoor monitoring equipment or mobile applications in extreme environments. Review Display Systems Ltd (RDS), specialist provider of optimal technical and commercial display system solutions, introduces AAEON's first 4th generation Intel Core Processor "Haswell" based 3.5" Single Board Computer (SBC). 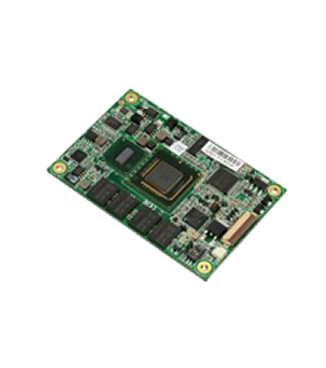 The GENE-QM87 is a compact board, powered by the Intel Core i5-4402E processor and Intel QM87 Express chipset. Offering a triple display solution, the GENE-QM87 features an all-in-one, complete, embedded platform that supports four display interfaces - HDMI, DVI, VGA and LVDS. This wide variety of display formats opens up application areas in gaming, entertainment and industrial automation as well as digital signage. The board's SODIMM socket supports up to 8 GByte of DDR3L memory. For storage, there are two SATA 6Gb/s ports and one CFast slot. The Intel Gigabit Ethernet (GbE) controller provides quick network connectivity. There are several I/O capabilities. The SBC supports two USB3.0 ports, six USB2.0 ports, four COM ports and an 8 bit programmable digital I/O. 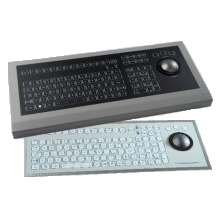 There is also a 4/5/8-wire resistive touch screen controller, a keyboard/mouse port and one Line-in, Line-out, Mic-in port. 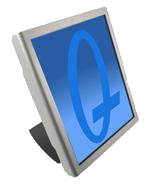 The GENE-QM87 consumes 2.73A at 12V and is IEEE 1588 compatible. It measures 146 x 101.6mm and operates in the temperature range of 0 to 60 degrees C.
AAEON's proprietary EASY FAN heat dissipation design, clock throttling technology and efficient power circuit design optimise performance for a MTBF of 105,000 hours. Review Display Systems are set to introduce a new generation of Industrial Mini ITX format motherboards from European manufacturer Fujitsu Technology Solutions. The D3313-S is the latest industrial series of boards based on AMD's next generation embedded G-series platform. The SoC (System-on-Chip) design features a significant reduction in power consumption as well as an increase in performance. Three versions will be available, The D3313S-1 will feature the AMD GX210 HA SoC which is Dual Core with AMD Radeon HD8210 Graphics (DC 1.00GHz/ max TDP:9W). The powerful graphics handling combined with low TDP makes the D3313-S1 ideally suited to inexpensive applications which need passive cooling as a feature. The D3313S-2 features the GX-217GA SoC Dual Core APU with AMD Radeon HD 8280E Graphics (DC1.65GHz/ max TDP: 15W). So even more powerful graphics functionality and increased CPU performance over the S-1. Finally the D3313S-3 version has the AMD GX420CA SoC Quad Core APU with the AMD Radeon HD8400E Graphics ( QC 2.00GHz/ max TDP:25W). This performance version has high end graphics power allied with the QuadCore CPU performance all at a cost effective price point. All versions will feature DVI-I, DisplayPort and 24 Bit, Dual channel LVDS display interface support. Additionally the board has m-SATA connector, one PCI minicard socket, 2 DIMM sockets, a GPIO connector, and one PCIe slot for further upgradeability. The compact format board also has on board HD audio, Dual GbE LAN, Serial ATAIII RAID,USB2 and USB3 support, three serial poets and one parallel. The D3313 is certified Windows 7 and Windows 8 compatible. Review Display Systems Ltd (RDS), specialist provider of optimal technical and commercial display system and embedded computing solutions, announces its appointment as distributor for Lumineq Displays - handling both their transparent and thin film electroluminescent ranges. Lumineq transparent electroluminescent TASEL displays break the conventional boundaries of display design. They combine the rugged and reliable build of thin film electroluminescent (TFEL) displays with the unique freedom of designing a completely transparent display that can be viewed from two sides providing a 360 degree viewing angle. TASEL is ideal for high-end applications in consumer electronics, architectural design, transportation and other applications where viewing experience and product aesthetics are of paramount importance. The brightness and image response time are exceptional. The display glass, is easily customised, it can be drilled or cut to custom sizes to fulfill design requirements. They represent the best viewing experience available for extreme conditions. 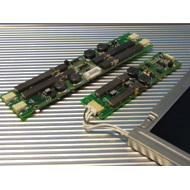 Lumineq embedded TFEL thin film electroluminescent displays are rugged and reliable. Durability is proven by surviving up to 200 g-force shock and a staggering 250,000 hour mean time between failures (MTBF) for the display glass. TFEL displays are capable of instant-on performance from -60 to +105 °C (from -76 to +221 °F), with instant pixel response over the entire temperature range, and no motion blur. Lumineq TFEL non-transparent displays are used in mining, marine, military, medical and many more demanding environments. They are robust and reliable, and usually used in extreme environments, where traditional displays cannot cope with the conditions. Lumineq lifecycle programs, with guaranteed long-time availability, make it easy for customers to focus on their products, and keep them in production longer. Its production facilities are ISO 9001:2008 registered. Lumineq is a new brand name behind proven technology. Lumineq Displays, a business unit of Beneq Oy, is the world's premier manufacturer and developer of thin film electroluminescent (TFEL) displays. In 2012, Beneq acquired the Finish-based electroluminescence business from US Planar Systems, Inc., and the resulting brand name is Lumineq. Together with Beneq, Lumineq works closely on the industrial production and development of TASEL and TFEL technologies and other atomic layer deposition (ALD) enabled products. Graham Smith, Sales Manager of RDS Displays commented, "RDS is delighted to have been appointed distributor of such an exciting range of display products and will provide full technical back-up and applications advice to support Lumineq's complete range of electroluminescent displays." Review Display Systems have recently introduced NLT Technologies NL12876AC18-03 Industrial TFT panel to further enhance our range of panels for small portable applications. The compact, 1280x768 pixel panel features NLT's Ultra-advanced fine TFT technology, enabling the viewing angle to cover 88 degrees, left, right, top and bottom. The module features a slim bezel design measuring just 248.8mm(H) x 155.8(V)mm x 6.5mm ( D) overall, and includes a removable LED backlight and a built in LED back light controller. The operating temperature range is -20 to +85 degrees, the panel weight is only 270g making it ideal for portable applications in most conditions. The panel features a LVDS interface allowing easy connection to most industrial PC platforms. Other features include a reversible-scan direction, selectable 8bit or 6bit data input allowing up to 16 million colours, and colorXcell technology for colour enhancement. RDS can also provide additional enhancements such as a touch screen for operator input and optical bonding for increased performance in high ambient light conditions. Review Display Systems Ltd (RDS), specialist provider of optimal technical and commercial display system solutions, has introduced NLT Technologies' new 19-inch SXGA colour LCD panels with a high level of visibility. The NL128102AC29-17 panel delivers superior viewing thanks to a combination of NLT's proprietary LED backlight system design for high-luminance of 800 cd/m2 (normal panels are 450 cd/m2) and a high contrast ratio of 1000:1. The result is a high-resolution 19.0-inch (48 cm diagonal) SXGA colour LCD panel that is ideal for use in medical displays that require the precise reproduction of shadow and off-angle colour representation, or for industrial displays used in bright-light environments. NLT's high-quality imaging technology Super Fine TFT (SFT) technology enables an ultra wide viewing angle of 88° vertical up/down and horizontal left/right, while the panel delivers 16,777,216 colours and a resolution of 1280H x 1024V pixels. A 5:4 aspect ratio helps satisfy a continuing demand in the medical and industrial sectors. The LED backlight system with built-in driver, delivers both a long-life span of 70,000 hours and high luminance. Moreover, by improving the LCD panel component and design, it achieves a wide operating temperature range of -20 to +70°C. This guarantees stable, long-term operation even in the extreme temperature conditions sometimes required for industrial applications. This combination of NLT's distinguished LCD panel technology and white LED backlight system enables superior product features and reliability. The LED backlight system also contributes to a lower environmental impact, due to the design for low power consumption and because LED is mercury-free. Power supply voltage is 5V for the signal and 12V for the backlight; the panel size is 396.0(typ.) x 324.0(typ.) x 22.0(max) mm; the display area is 376.32(H) x 301.056(V) mm and they're available now. Review Display Systems Ltd (RDS), specialist provider of optimal technical and commercial display system and embedded computing solutions, introduces TechNexion's cutting-edge EDM modules and carrier boards. EDM Standard is the first complete open hardware and software standard for x86 and ARM computer on modules under the creative commons share alike licence. This first true pin-to-pin Computer on Module standard merges ARM® and x86 into a true swap drop-in replacement where not only hardware but also software are tailored to give design engineers the freedom to choose the performance and underlying hardware specifically for their project, based on the application and end equipment. EDM1-CF-iMX6 is an EDM Type 1 Compact Module with Freescale i.MX6 Cortex™-A9. This scalable single/dual/quad core EDM type 1 compact System-on-Module provides gigabit LAN, WiFi 802.11 b/g/n and Bluetooth v. 4.0 communications, and targets multimedia applications with LVDS, TTL, HDMI, S/PDIF, I2S, MIPI camera and display. EDM2-CF-iMX6 is an EDM Type 2 Compact Module with Freescale i.MX6 Cortex™-A9. This scalable single/dual/quad core EDM type 2 compact System-on-Module provides gigabit LAN, WiFi 802.11 b/g/n and Bluetooth v. 4.0 communications, and targets multimedia applications with dual channel LVDS, HDMI, S/PDIF, I2S, MIPI camera and display. 'Fairy' is a carrier board for EDM type 1 Compact modules. It enables the fast development of mobile embedded devices, and features a variety of sensors and interconnects. Display interfaces include HDMI, TTL and LVDS while communications by dual PCI Express (with SIM Cardslots) are dual CAN Bus, dual UART, USB and 8 GPIOs for Industrial control. 'Wizard' is an official EVM carrier board for EDM type 2 modules, which delivers a rich variety of interfaces and options. There's a wide range of jumper-selectable audio, video and touch interfaces with optional smart battery-pack implementation. RDS has iMX6 start kits available now for demonstration to include a kit based on the solo core module with 1GHz CPU, 512MB RAM, 4GB iNAND, Gigabit LAN & 2 CAN; a kit based on Dualite core module with 1GHz CPU, 1GB RAM, 4GB iNAND, Gigabit LAN & 2 CAN; and a kit based on Quad core module with 1GHz CPU, 1GB RAM, 4GB iNAND, Gigabit LAN & 2 CAN. All three are also available with Bluetooth and WiFi. Review Display Systems Ltd (RDS), specialist provider of optimal technical and commercial display system solutions, has introduced NLT Technologies' new 15.6-inch WXGA colour LCD panels delivering the performance and feature set needed for industrial applications. The NL13676AC25-01D panel delivers superior viewing thanks to a combination of NLT's proprietary LED backlight system design for high-luminance of 400 cd/m2 and a high contrast ratio of 900:1. The result is a high-resolution 15.6-inch (39.6 cm diagonal) WXGA colour LCD panel that achieves a fast response time to allow smooth display of video images and special features including 'tickers' and scrolling updates. The wide viewing angle of 80° vertical up/down and horizontal left/right is achieved by applying NLT's high-quality imaging technology Super Fine TFT (SFT) technology. The panel delivers 16,777,216 / 262,144 switchable colours, a resolution of 1366H x 768V pixels and a 16:9 wide aspect ratio, which help satisfy the growing industrial demand for wide format LCDs. The LED backlight system with built-in driver and replaceable LED, delivers both a long-life span of 70,000 hours and high luminance. Moreover, by improving the LCD panel component and design, it achieves a wide operating temperature range of -20 to +70°C. This guarantees stable, long-term operation even in the extreme temperature conditions sometimes required for industrial applications. This combination of NLT's distinguished LCD panel technology and white LED backlight system enables superior product features and reliability. The backlight system also contributes to a lower environmental impact, due to the design for low power consumption and because LED is mercury-free. Power supply voltage is 3.3V for the signal and 12V for the backlight; the panel size is 363.8(typ.) x 215.9(typ.) x 10.3(max) mm; the display area is 344.232(H) x 193.536(V) mm and they're available now. Review Display Systems Ltd (RDS), specialist provider of optimal technical and commercial display system solutions, has introduced Soloman Goldentech Displays' (SGD) in-cell touch system as an option on custom passive LCD designs. For customers looking to use a custom LCD panel in a new application then it is worth considering whether touch functionality would make the user experience more intuitive and pleasing, especially when it adds very little to the cost. By using the existing X and Y planes needed for the LCD segments as the touch sensor, it is possible to create up to twenty individual switch areas. No extra touch panel or touch controller are required. The projective capacitive touch will project through up to 3mm of polycarbonate, allowing the display to be sealed behind a protective window and still be backlit in the normal way. The system is designed to provide a single touch function and the touch encoding is handled by a controller integrated into the LCD driver chip. This new system configuration with fewer components, simpler procedures and greater economies makes the in-cell touch system ideal for a wide range of applications to include white goods, control boards, fitness machines, medical electronics, air conditioning control, cooker panel displays, heaters, microwave ovens, blood pressure monitor displays and automotive heating/air conditioning control panels. At last a high performance compact motherboard with onboard Intel Core i7-3555LE and the QM77 chipset. Review Display Systems Ltd have introduced AAeons's latest EPIC-QM77 industrial motherboard. This EPIC format board measures just 165mmx115mm and unlike most current designs, compact or otherwise, the CPU and PCH chips have been mounted on the rear (solder side) of this board. This design makes the transfer of heat to the outside world or enclosure far easier for the system designer. The board supports triple, simultaneous Display, via its LVDS, CRT, DVI-I or HDMI ports. Also for data critical applications the Board supports iAM T8.0 and RAID 0. The on-board Intel Core i7-3555LE/Celeron 874E processor, is part of Intel's 3rd Generation range on the Core i series processors and is supported by the QM77/H76 express chipset. The board supports up to 8GB of DDR3 memory, and has an on-board dual LAN Capability. The board features two 6.0Gb/s SATA ports and one (half-size) mSATA slot, plus two USB 3.0 and six USB 2.0 ports as well as six COM ports, expansion is via a single minicard slot. The board requires a 12Vdc AT/ATX supply and additionally has 2CH HD audio, 16bit digital I/O and an optional resistive touch screen decoder. The extensive feature list demonstrates the high level of integration on the EPIC-QM77 and makes it ideal for projects that require a high level of processing power within a small space envelope, couple with a long production life of five years. Display specialist, Review Display Systems Ltd introduce the GKTW50SCCH3R0 display from Taiwanese manufacturer SGD, which is a compact 5 inch Wide VGA resolution TFT display with integrated projective capacitive touch panel. This amorphous silicon TFT has a resolution of 800 (H) x3 x480 (V) pixels and supports 8 bits per pixel ( 24 bit colour). 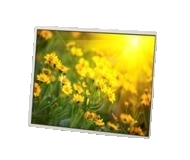 Fitted with the latest LED backlight technology the panel has a screen brightness of 600cd/m. The 5 inch panel has an active area of 108(H)mm x 64.8 (V)mm and an overall dimensions of just 120.8(H)mm x 64.8(V)mm x 4.6 (T)mm making it ideal for applications where space is at a premium. The Capacitive Touch is based on a 1.2mm glass substrate and features an I2C interface. Operating temperature's for the complete assembly are -20C to +70C with a storage temperature of -30C to 80C. This bright high contrast display system is ideal for wall mounted controller applications, where ambient light levels can be quite high, small HMI devices and machine controllers would also be served well by this panel. Review Display Systems Ltd (RDS), specialist provider of optimal technical and commercial display system solutions, announces availability of two new Aaeon® stainless steel, fanless, anti-scratch touch panel computers. Aaeon® AFP-6152 (15") is based on the Intel® Atom™ Pineview D525 processor while Aaeon® AFP-6123 (12.1") is based on the Intel® Atom™ Cedarview D2550 - both requiring a 9 - 30 Vdc supply, and delivering screen brightness of 400 and 500 nits respectively. The AFP-6152 and AFP-6123 are designed to be durable, using the highest grade stainless steel type 316L enclosure with polished surface for easy cleaning and maintenance. They provide protection against extreme vibration and shock, dust accumulation and corrosive acid and alkaline. The AFP-6152 and AFP-6123 provide M12 waterproof I/O connectors for two USB2.0, one RS-232, one RS-232/422/485, one LAN and one power input. Even with a completely sealed-off waterproof enclosure, the AFP-6000 series offers a wide operating temperature range of -20 ~ +50°C, without airflow. 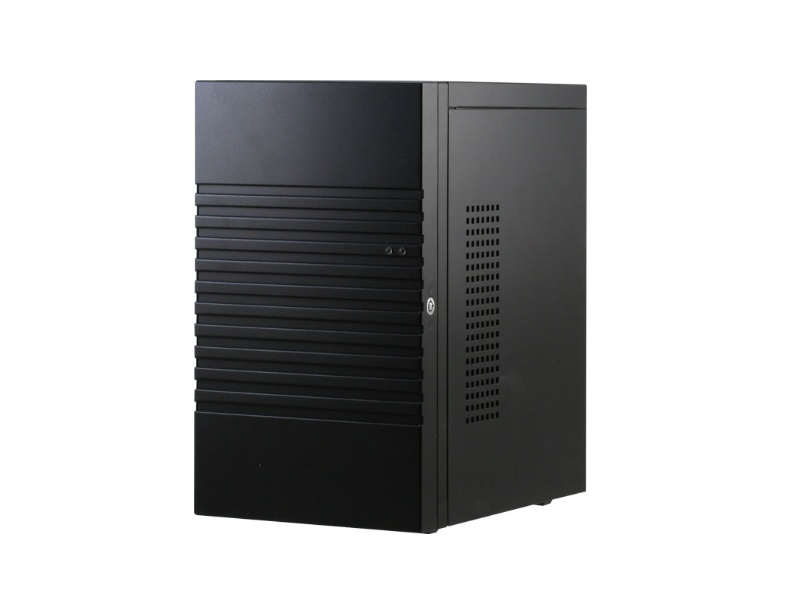 In addition, power input protection mechanism with over-voltage protection; low-voltage protection and reverse protection make the systems more reliable. Typical applications include food manufacture & processing, chemical & medical and marine & outdoor/weather-proof uses. The wide operating temperature range and supply voltage make them ideal for frozen foods, mobile catering, etc., while IP66 sealing all-round enables them to be completely washed-down as necessary. The unit is compact (a PC on the back of a small enclosure), has no fan so is quiet in operation, has a 5-wire touch delivering 5 million operations and enjoys a 35,000 hour MTBF. Review Display Systems Ltd (RDS), specialist provider of optimal technical and commercial display system solutions, announces two new PICO ITX format motherboards. One (PICO-CV01) is based on the Atom N2600 processor while the other (PICO-HD01) is based on the AMD G-series with dual or single core options; Compact format 100 x 72 mm, fanless options dependant on CPU, and a single 12 Vdc supply. The two available platforms deliver considerable increases in performances over the older chipsets currently available - their small size being ideal for applications where space is at a premium as the boards will fit behind 5-inch displays. Both boards individually demonstrate high levels of integration with SODIMM DDR3 Memory (4Gb for HD-01 and 2 Gb for CV-01), G-bit Ethernet switching, HDMI support and 18-bit single-channel LVDS for LCD driving. They also offer HD audio, SATA & minicard expansion, 5x USB 2.0, 2x com with 4-bit digital I/O and 0-60°C operating temperature. The AMD Embedded G-Series platform is the world's first integrated circuit to combine a low-power CPU and a discrete-level GPU into a single embedded Accelerated Processing Unit (APU).This unprecedented level of graphics integration builds a new foundation for high performance multi-media content delivery in a small form factor and power-efficient platform for a broad range of embedded designs. Based on a brand new power-optimised core, the AMD Embedded G-Series platform delivers new levels of performance in a compact BGA package that is ideal for low power designs in embedded applications such as Digital Signage, x86 Set-Top-Box (xSTB), IP-TV, Thin Client, Information Kiosk, Point-of-Sale, and Casino Gaming, media servers and industrial control systems.